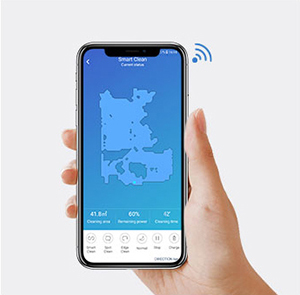 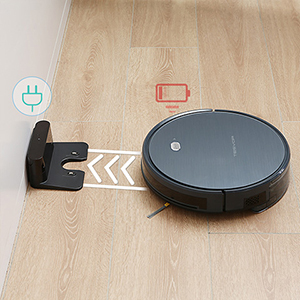 Intelligent S-shaped cleaning paths cover more room and clean more effectively, with real time cleaning map on your App. 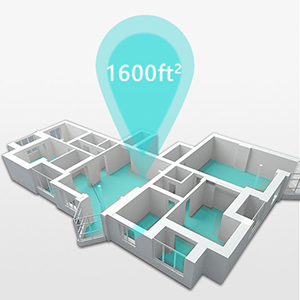 With a wider coverage of up to 1600 sq. 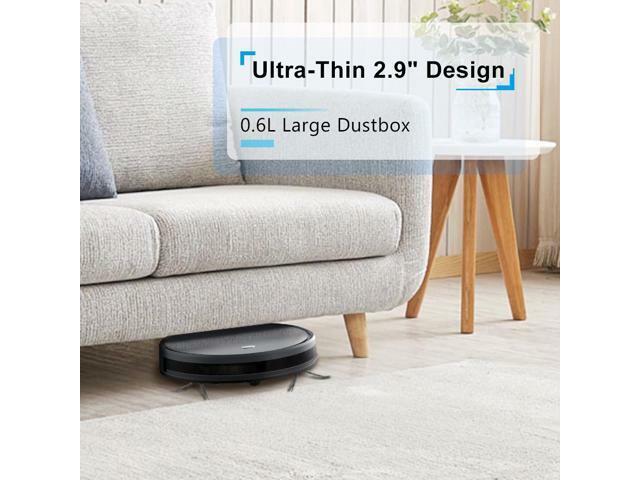 ft, Tesvor Robotic Vacuum automatically navigates to clean uncovered areas and covers up to 95%. 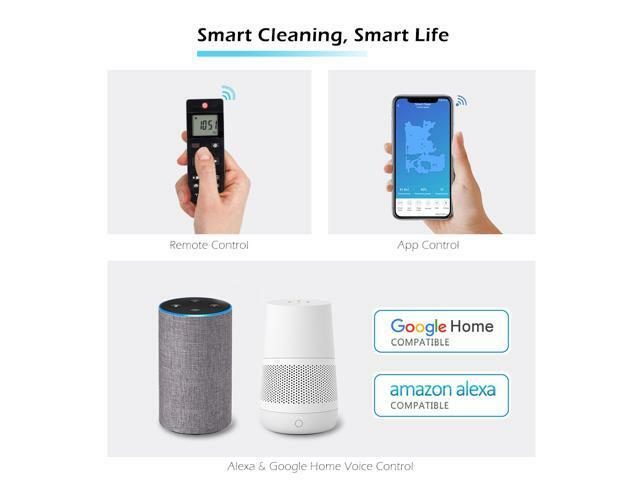 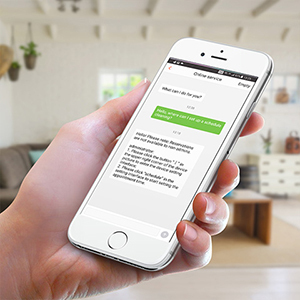 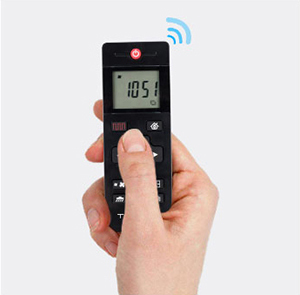 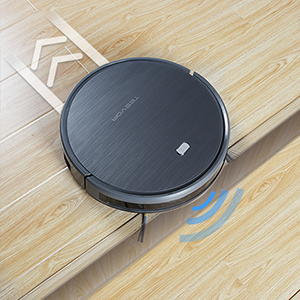 Recharge automatically when cleaning is completed or in low battery. 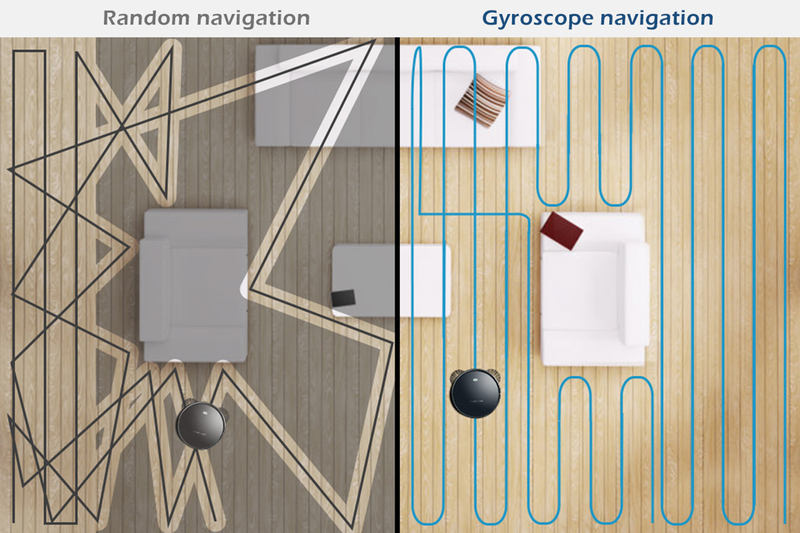 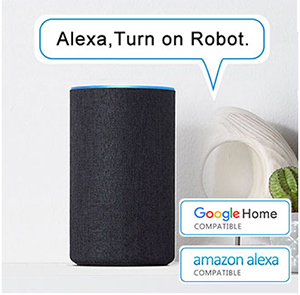 Unique navigation + search dual-recharge system ensures the robot vacuum could find its way back more quickly & accurately. 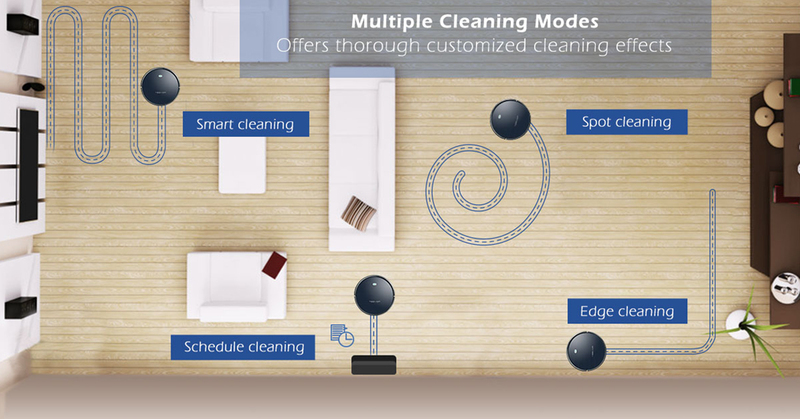 Tesvor Robotic Vacuum uses drop-sensing technology to avoid falling down stairs. 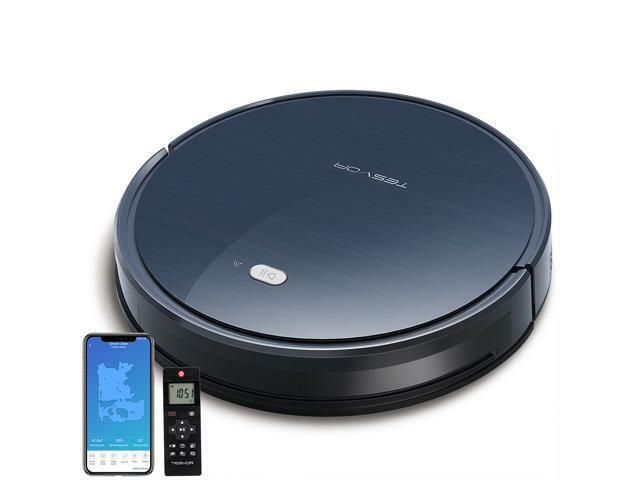 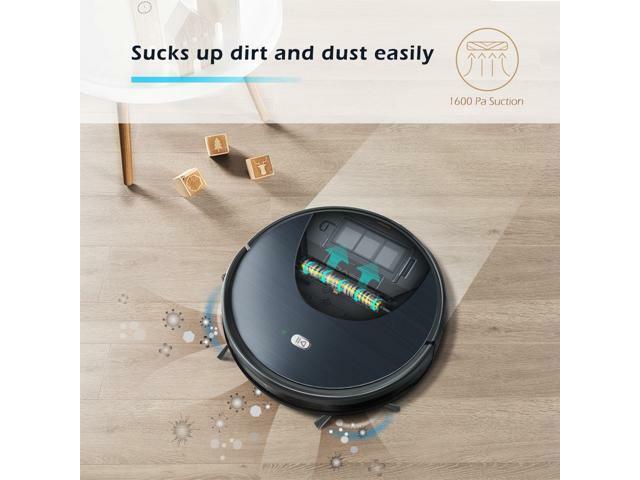 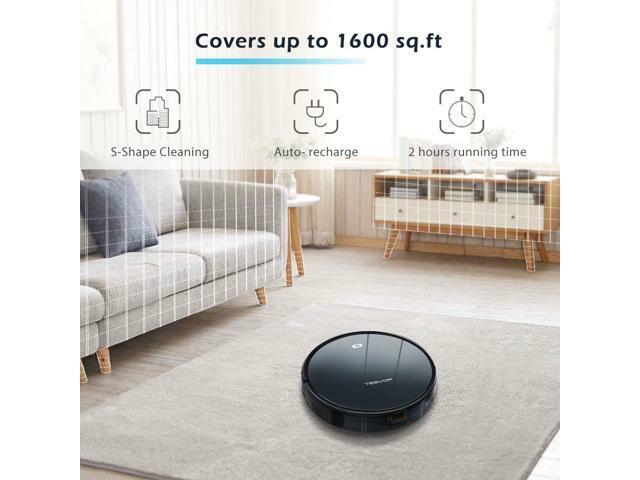 Up to 1600Pa suction in max mode, Tesvor robot vacuum will leave you a spotless home! 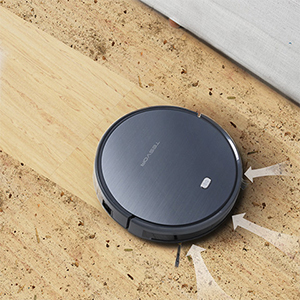 The robot vacuum works best on hardwood and tiles, or on low-pile, light colored thin carpets. 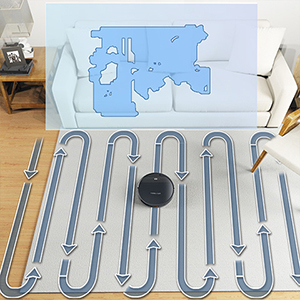 Not suitable for high-pile carpet over 0.6 inch, dark colored rugs and any carpets with black stripes or edges. 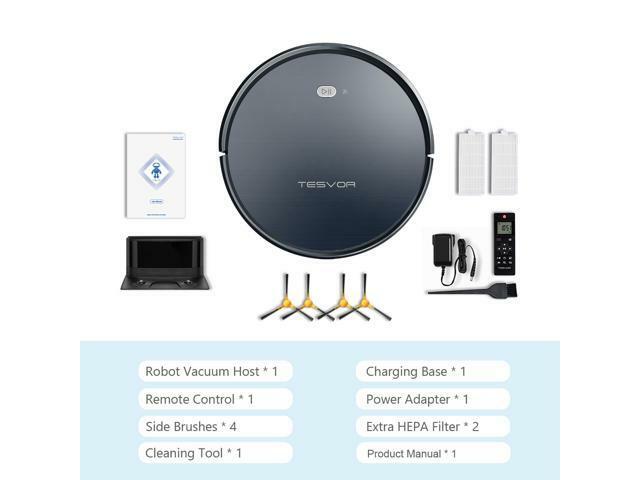 This item is covered by Tesvor Direct Return Policy.